Sheldon Zandboer was the contemporary piano instructor on the Faculty of Jazz at Mount Royal University for 15 years. Learn practical professional keyboard skills for jazz/pop performance. Learn to play more styles competently on the keyboard/piano. Lessons are flexible. They range from New Yorker lessons IE: “call when ready for your next lesson” / monthly / (bi)weekly at ½ to 1 hour lessons. Practical instruction for piano and non-piano students for computer composition applications. -Saxophonist, composer and sound designer based in Brooklyn, NY. In 2011 he released Community Immunity, under the Greenleaf Music record label. -Masters Graduate of Music from North York University, Toronto, ON. -Pianist/composer active in Toronto’s jazz, improv and pop/rock scene. 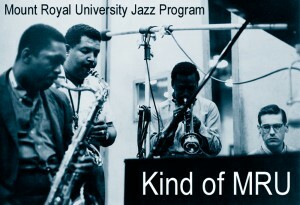 He completed a bachelor’s degree in jazz studies at Humber College. -Accomplished Jazz Vocalist in Calgary, AB. -Active freelance musician, keyboard player in Mocking Shadows and Jory Kinjo, Calgary, AB. -Studio session/live touring player active in Nashville, Tennessee. -Active freelance pianist in Calgary, AB. -Active keyboardist performing with “Groove Academy” in Calgary, AB. The Tao of Improvisation is a groundbreaking method for the musician who wants to elevate their improvisational skills to the next level. 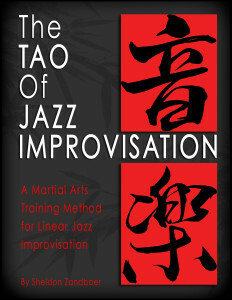 The Tao of Improvisation trains your mind/ears/body like a martial artist to react and interact instantaneously to your performance environment. It enables you to automate and internalize the fundamental elements of improvisation thereby allowing you to focus on the creative and inspirational side of music rather than relying on your computational intellect. The practitioner works at their own pace with the book and an audio CD to develop ‘real time’ ear training, technique, and improvisation skills. The book created such a buzz in the industry about it’s conceptual material that Sheldon was interviewed on “Q” by the CBC’s infamous Jian Ghomeshi on national radio. Over the past five years Sheldon has perfected the method through his own practice himself as well as shared the concept with students, some have gone on to study at the “New School” of Manhattan, Berklee College, McGill University, SFX University and his alma mater Humber College. Sheldon has been a member of the Faculty of Jazz at Mt. Royal University since 1998. I remember you telling me that you have watched yourself play the piano almost like an observer. Your hands just played! You were telling me about your jazz patterns at the time, and we were discussing your books. As you know, I have been playing a lot every day. (I have a pretty good handle on this musical now, thank God.) Once I felt the musical was under control, I went to rehearse a piano feature with our Jazz Orchestra. I confessed to the group that I had not practiced it for a while. I said would be very rusty! I started playing. Then I had something happen to me that has never, ever happened before. In the very long improv section I was singing in my head. I was not thinking about the keys on the piano, or about the changes. Just singing. My hands played on their own. I looked down and could see them playing. It was probably the best improv I have ever done. I do not have any idea what notes I played and I cannot repeat it. Anyway, I am on cloud nine. We have no groceries, twenty-one loads of laundry are undone, and I am behind on everything under the sun. But this piano experience felt *so* good!!! All your jazz patterns were put to good use. Take care and thank-you so much for all your help. I am enjoying the piano so much! My kids are pumped about the piano, too. “So my piano teacher Hilario Duran thanks you for teaching me how to “really swing”. Nice to know I’m doing something right. Thanks Kristen. Hal Galper explains perfectly how I view music and teach.